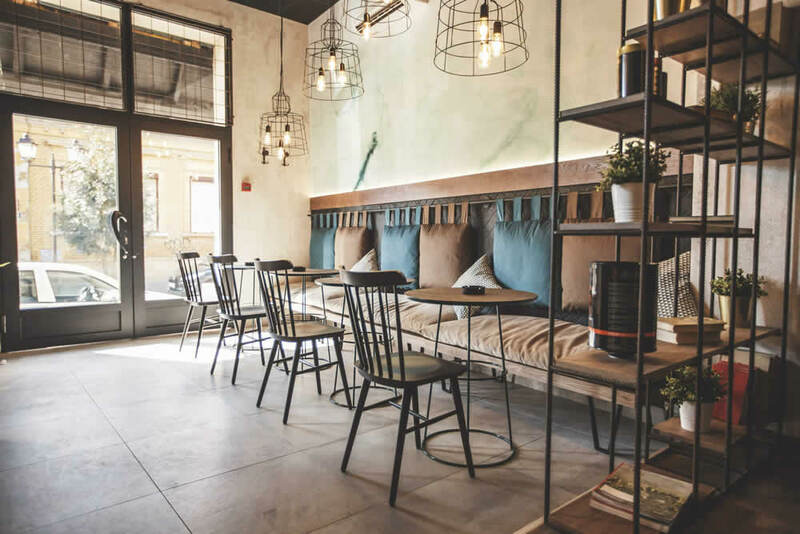 We take a look at the ways SMEs can stand out from the crowd and encourage more footfall into their place of business with simple changes made to their premises and offering. Combine these with the power of social media to increase awareness of your brand and ultimately, attract more custom. Consider distinctive ways to get people to visit your business. The more unique, the better. Just check with your local council and neighbours if you’re thinking of doing something which would branch out into the streets or potentially affect nearby businesses. On the high street, the front of your premises is the first thing that customers see, which is why you need to make a good impression from the outset. Make your signage memorable and compatible with your brand, ensuring that it’s immediately clear what you’re offering and what you stand for. Keep the area clean and well maintained, but remember to consider your surroundings. You don’t want to attract negative publicity for being an eyesore. Wherever you work, loyalty schemes can be incredibly effective as customers like to know that they’re valued, as well as having the chance to get something for free or at a discounted rate. Cafes, coffee shops and pubs can do this very easily by creating loyalty schemes with hot beverages whilst shops may need to take a more creative approach. Shop owners could consider offering a discount after the customer has spent a certain amount in the store, or you could hand out points cards or use a loyalty app. Consider offering other services in your venue which relate to the trade that you’re in. For example, if you’re an art supplier you could run craft classes, workshops and courses over a series of several weeks. Pubs can offer quizzes, lend their rooms out for events and provide a space for university clubs to meet on a weekly basis. This not only draws in additional custom but it also increases awareness of your brand and offering. Your customers will quickly pick up on the atmosphere that your business creates so think about any changes you could potentially make to encourage people to return to your venue. Think about this in detail, including the volume and style of music you play, how comfy your seats are, lighting, colour, how your employees interact with your customers and WiFi availability.